LOCATION: Wainman Cove, west side of Okanagan Lake, B.C. Having survived non-combative service in the Spanish Civil War, Alec Wainman, who taught at UBC’s Department of Slavonic Studies from 1947 to 1978, purchased a 90-acre property on the Okanagan lakefront in the mid-1950s and sold it in the late 1980s. This accounts for the street name Wainman Cove, 700-metre roadway on the west side of Okanagan Lake, near Fisbee Creek, north of Fintry and south of Whiteman Creek. Wainman and his family built the two original breakwaters that created a larger cove. 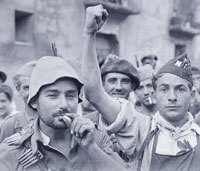 Alec Wainman emerged posthumously as a highly significant Spanish Civil War photographer after his son and co-author Serge Alternês arranged for the publication of 240 b&w photos from a long lost cache of 1,650 photos for Live Souls: Citizens and Volunteers of Civil War Spain (Ronsdale 2015). 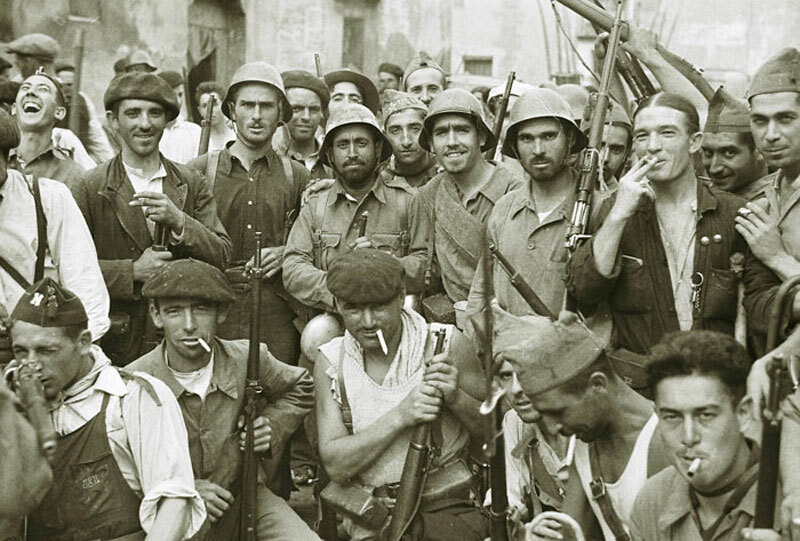 Some forty thousand volunteer soldiers from 50 countries came to fight for the Republic of Spain prior to World War II. The largest contingents of civilian support came from France, Germany, Italy, Yugoslavia, Britain, USA, Canada, Latin American and Bulgaria. In Live Souls, which also contains Wainman’s unfinished memoir of the Spanish Civil War, Serge Alternês is tactfully circumspect about how his father’s photos were finally found and retrieved. The archive, stored in a suitcase, was rescued by Jeanne Griffiths from the home of a retired and since deceased Soho publisher. Oddly, a more famous cache of photos was similarly retrieved in 2007 from a long-missing suitcase—the 4,500 Spanish Civil War negatives of photos on 126 rolls of film taken by Robert Capa, Gerda Taro and Chim (David Seymour) and published in the well-known volume, The Mexican Suitcase, also the subject of a 90-minute documentary film. Born on March 11, 1913 in Yorkshire, U.K., Alexander Wheeler Wainman came to Vernon, B.C. at age seven with his three brothers and his mother, widowed by World War I. In 1928, the family returned to Britain where he studied Modern Languages at Oxford, receiving an M.A. in Russian and Italian. In 1934 and 1935 he worked at the British Embassy in Moscow and became dismayed by Western Europe’s ignorance of the dangers posed by the rise of Nazism. Concerned that Hitler and Mussolini were supporting Franco’s nationalists in Spain, he volunteered at age 23 for service as an ambulance driver for the British Medical Unit that went to Spain soon after the Spanish Civil War broke out in July of 1936. The British Medical Unit (BMU) under Dr. Reginald Saxton would make medical history in collaboration with the Canadian Blood Transfusion Unit under Dr. Norman Bethune by collaborating on mobile blood transfusions in the field, using refrigerated blood trucks, therefore enabling poorly armed soldiers to more capably defend the Republic’s 1,000-km. front. Wainman joined the BMU in Paris in August and arrived in Barcelona in September, soon evolving into an interpreter for the multi-lingual Republican forces. A year later he was head of the English and American Press Department for the Ministry of State of the Republican government. A pacifist with Quaker sympathies, he never engaged in the fighting. He crossed paths with Ernest Hemingway and Stephen Spender (who he photographed) but he never met George Orwell or Norman Bethune. Wainman’s behind-the-scenes photos of Republican soldiers and civilians, all taken with a Leitz Leica camera, poignantly capture the faces of idealism and the camaraderie of those who independently mobilized to defend democratic freedom while western governments stood aside, allowing Franco’s dictatorship to arise—bolstering the confidence of Hitler and Mussolini, leading to the outbreak of World War II. In 1938, Wainman developed hepatitis and he was forced to recuperate in England. There he became active in the resettlement of Spanish refugees. Later he would repeat this role in B.C. He was an important conduit for the immigration of the Faculty of Forestry from Sopron University of Hungary after the failed uprising of 1956, Czechoslovakian refugees in 1967 and Tibetan refugees in Sixties and Seventies (in conjunction with the Woodcocks). For World War II, he served in the Intelligence Corps of the British Army during the Italian campaign. His post-war report (quoted by Nikolai Tolstoy in his book, Victims of Yalta), helped to prevent the repatriation to Russia of thousands who would have likely been banished to Stalin’s forced labour camps. Back in Vancouver, teaching at UBC, Wainman mostly kept quiet about his involvements in Spain, sharing his memories with only a few friends and anti-war sympathizer George Woodcock, with whom he collaborated for a CBC documentary. 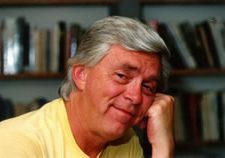 In the Okanagan, as a linguist, Wainman recorded the three remaining elders of the Syilx people who were still fluent in Nsyilxcen. After retirement, he continued to teach courses in Catalan and Portuguese. He finally returned to see liberated Spain in 1982, the year after he was beset by Alzheimer’s disease. He died in 1989. The whereabouts of Alec Wainman’s photo collection remained unknown to his son for forty years. Only about two dozen images had been published, a few becoming icons of the period. Some are exhibited at the Imperial War Museum in London. The photo archive in total had fallen into unscrupulous hands after Wainman had consented to a publication offer in London, England, back in 1975, the year Franco died.